fresh, fruity nose typical for the Muscat grape, dry but soft. Easy drinkable wine, dry and fresh. Floral nose (blackthorn, hawthorn),crisp and fresh taste, citrussy and light. Fresh flavours of lemon and grapefruit. Crisp, dry, very elegant with a long fruity finish. Delicate fruity nose, dry but very harmonious, well balanced, crunchy irrestible. Lovely fruity nose (jam and honey), still dry but very rich and full bodied taste. Perfumed nose, fruity, floral and spicy. Long aftertaste, rich and elegant with a fruity finish. Elegant flavours of cherry, blackberry, rich taste with soft tannin and good structure. 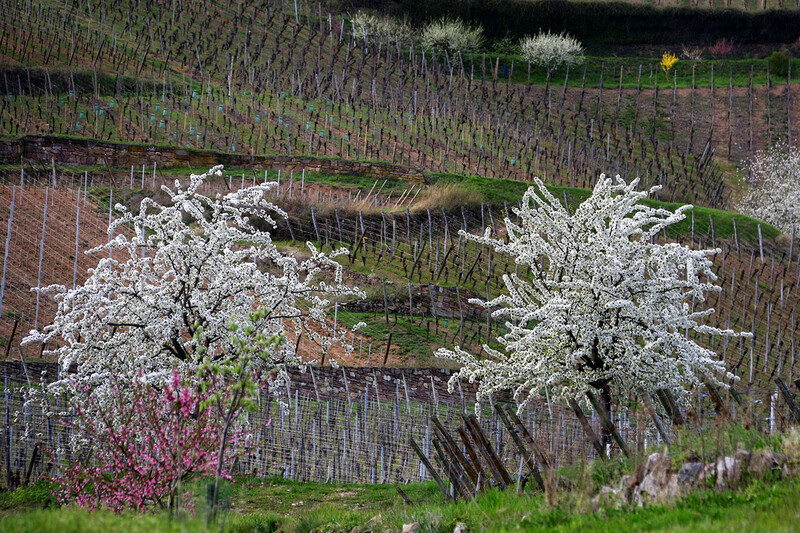 The chalk and clay soils of the slopes around Turckheim and Wintzenheim help to produce wines of considerable longevity, complexity and distinction.